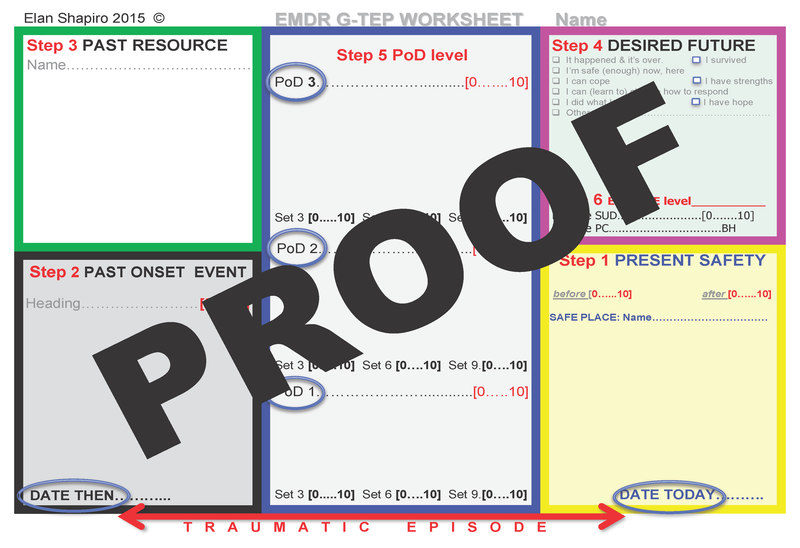 This set of EMDR G-TEP worksheets are designed for use by EMDR G-TEP trained clinicians. This is a user friendly single worksheet design for a step-by-step guide to the process. It is a large 11 x 17 color coded worksheet, which is also a meta-communication: in which the trauma event is enveloped with present/past/& future resources arranged spatially to physically convey that the event is in the past; that they are safe now in the present; & that there is hope for the future.